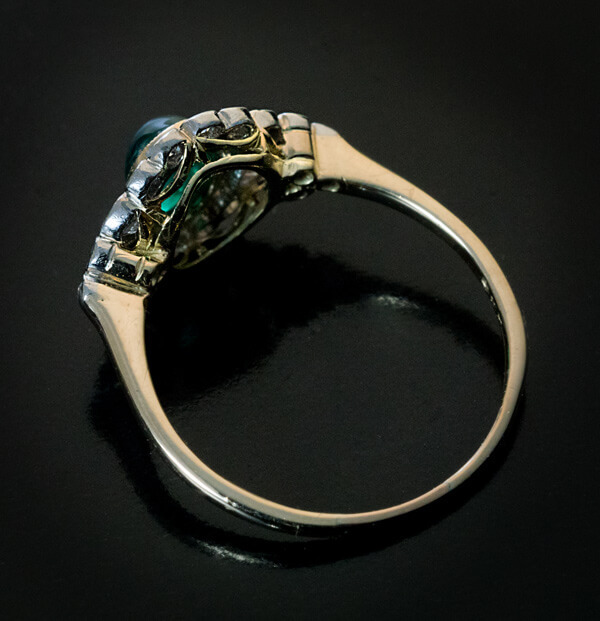 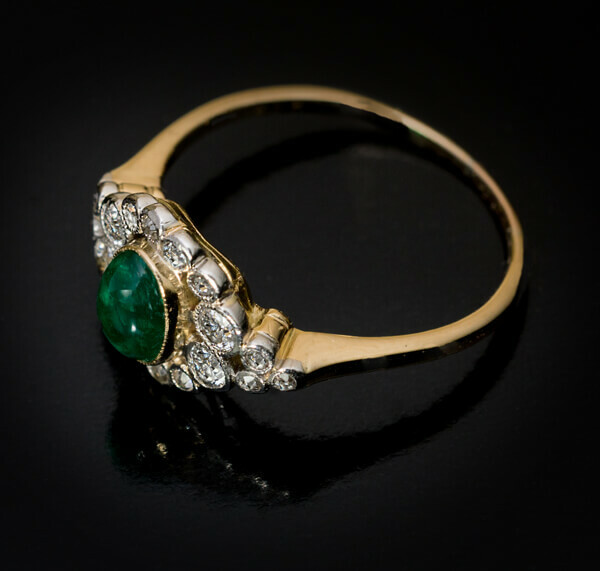 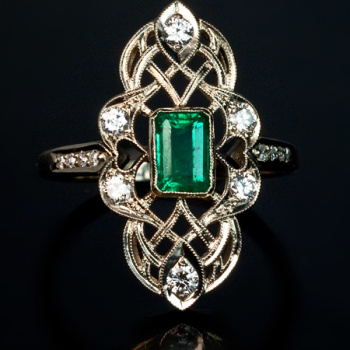 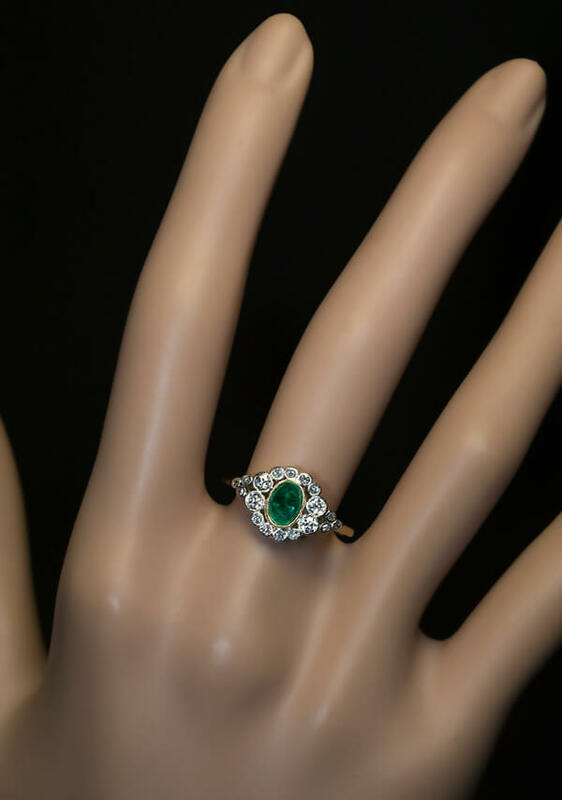 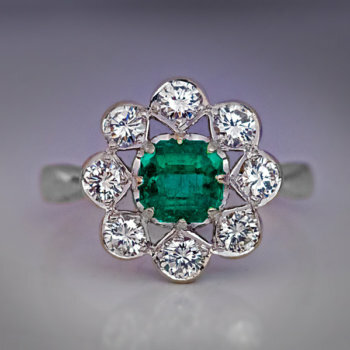 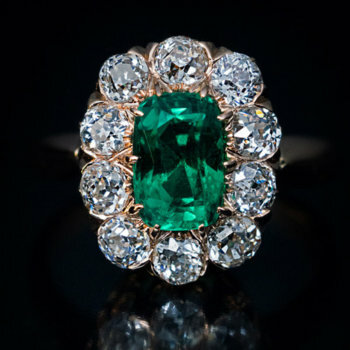 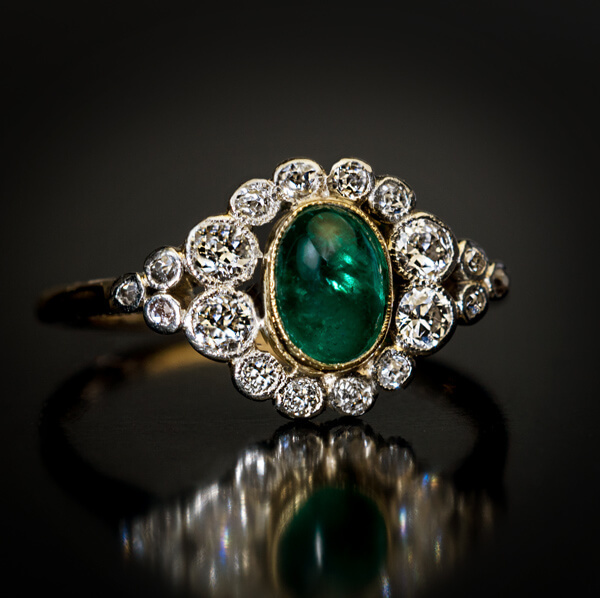 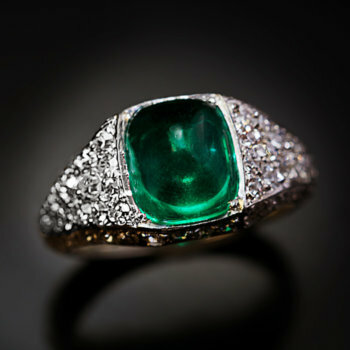 This small antique handcrafted platinum and 14K gold cluster ring is centered with a cabochon cut emerald (6.5 x 4.5 x 2.7 mm, approximately 0.59 ct). 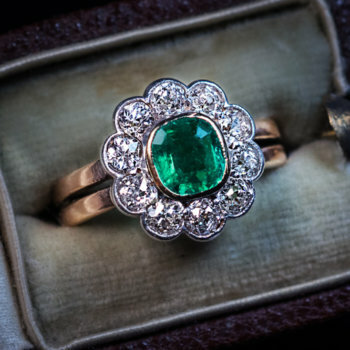 The centerstone is framed by sparkling old cut diamonds. 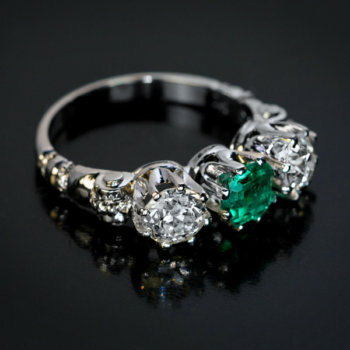 Estimated total diamond weight is 0.32 ct.